Europe and South Korea sign "landmark" 5G agreement | What Hi-Fi? With 4G networks continuing to be rolled out throughout the UK, it might seem a little early to start thinking about what comes next – but that's exactly what Europe and South Korea are doing. The European Commission and South Korean government have signed a "landmark agreement" that'll see the pair "work towards a global definition of 5G" mobile technology going forward. But there's little need to start worrying whether your new 4G-enabled device is already behind the curve; 5G is still some way off and and research programmes aren't due to start until 2016. Europe is set to cooperate with South Korea on 5G research, with a "coordinated call for research project proposals" expected to launch in two years, along with joint-funded R&D efforts. The Joint Declaration on Strategic Cooperation in Information Communications Technology (ICT) and 5G also covers the need for a "harmonised radio spectrum" to ensure "interoperability". And an industry memorandum of understanding will be signed between the EU's 5G Infrastructure Association – including Nokia, Orange, Ericsson and more – and South Korea's 5G Forum. European Commission vice president Neelie Kroes said: "5G will become the new lifeblood of the digital economy and digital society once it is established. "This is the first time ever that public authorities have joined together in this way, with the support of private industry, to push forward the process of standardisation"
An infographic that accompanies the European Commission announcement has indicated what it sees as where 5G will take us, once it's ready for rollout in around six years' time. It's thought a one-hour HD movie will take just six seconds to download, while connected house; entertainment; eHealth; and communications uses expected to increase massively. 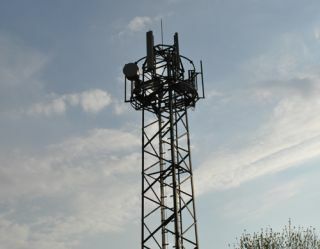 In the meantime, UK regulator Ofcom has already recognised the growing demand for broadband internet on the move with its latest proposals for the future of digital terrestrial TV. Ofcom has revealed plans to safeguard free-to-view TV, while allocating more of the spectrum to mobile data; demand for which is set to grow to 45 times the current level by 2030.